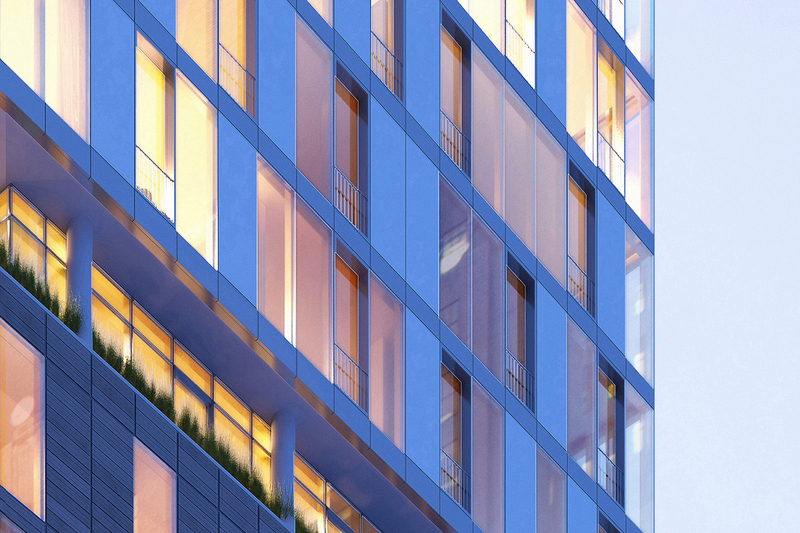 Residence 8C is a 1-bedroom, 1-bathroom unit offering eastern exposures, an open flow living room and oversized windows throughout. The kitchen features a suite of high-end appliances and designer fixtures and finishes. The bathroom is designed with a deep soaking tub, glass-enclosed shower and honed stone tile floor. Additionally, this residence offers a washer and dryer.